Our personalized Pocket Knife are engraved with precision! Our custom Engraved Pocket Knives are the perfect for groomsmen and birthday gifts. 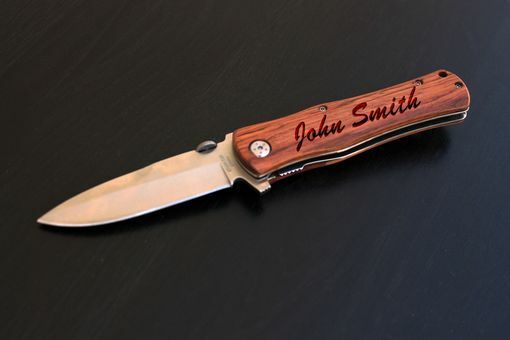 These personalized Pocket Knives are also excellent for camping, utility and household work. Pocket Knives make a great gift for the father of the bride, father of the groom, ushers, groomsmen, your grandpa, for father's day, or any special occasion.